YouTuber EISERMANN did a unique AUM jam with loops loaded up across several tracks in AUM's built-in sample playback instrument. These are all being routed to Bus A and Bus B, where he is then processing them with effects apps. I'm not sure which apps those are, but the whole package sounds great! Volcaniced is In the Mood for some easy electronica on his trio of Volcas. 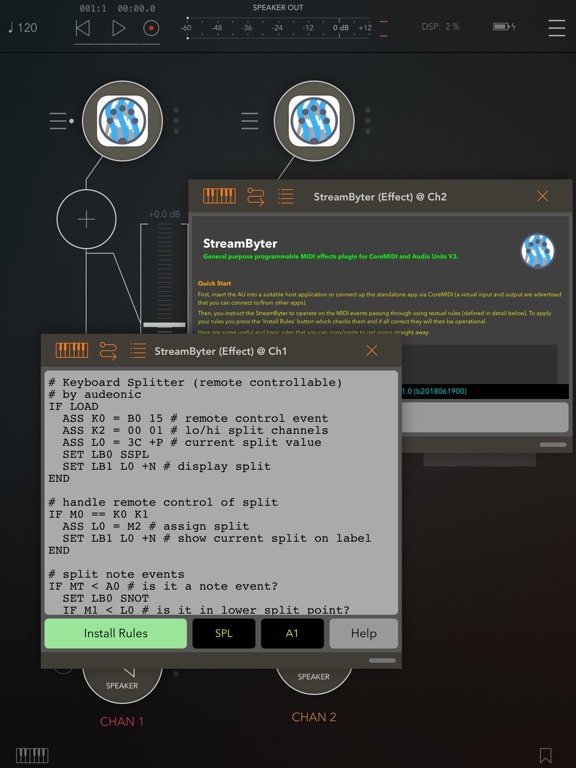 StreamByter, from Audeonic Apps, got a major update today! The programmable MIDI effect app now includes 8 configurable sliders. While a lot of code is in hexadecimal we're more used to using decimal, and now with the new $ symbol your StreamByter code will automatically convert your decimal numbers into hex! There's also a new ELSE conditional option to add to your IF logic. There is a full write-up on the Audeonic forum. The update arrives with a new demo from Audeonic!